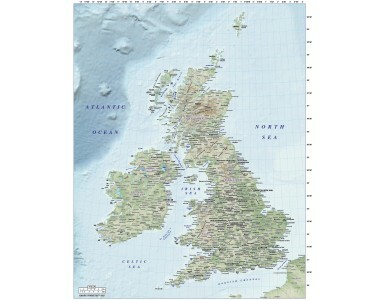 Small scale, fully layered, 100% editable British Isles Regular Relief map @5,000,000 scale. Available in a choice of either Illustrator CS1 or editable PDF formats. Placed (linked) tiff strong colour relief background at 300dpi. 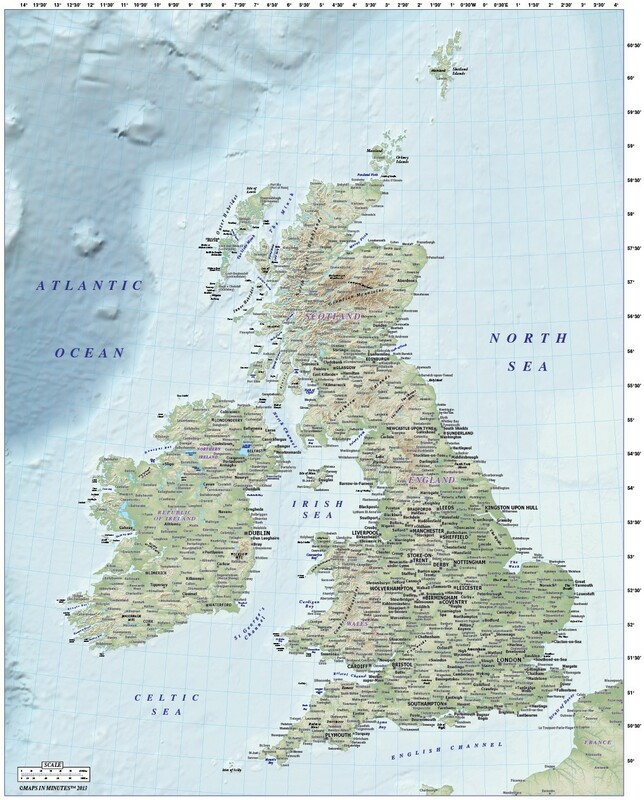 Layers include: Coastlines, county boundaries, Settlements layered by population. Physical features include rivers, lakes, island names, Mountain ranges, bay and headland names. Product includes a high resolution 300dpi relief background in Old Style colours as a placed (linked) tiff . How to download: You will be able to download by logging into Your Account where you can check the status and details of orders (including the applicable Product End User Licence). You can download product purchases for a period of 10 days from date of purchase. Download times will vary according to your Broadband speed..